While summer brings a much needed break for students everywhere, that doesn't mean that learning should stop just because the sun is out. Every year students achieve great gains in their academic pursuits, and every summer many students lose ground on those accomplishments. From departing from a regimented schedule to shoving the books away beneath their beds, summer oftentimes becomes a learning dead zone. One of the biggest problems with summer is the breaking away from a healthy school day schedule. While sleeping in a little bit is okay, sleeping away the day can present problems when school arrives again in the fall. Make sure to keep your students on a healthy waking and sleeping schedule so as not to alter their internal clock too dramatically during the summer months. While this may be more of an issue with adolescents, both young children and teens alike can benefit from healthy schedules. Altering it too much can lead to fatigue and restlessness when the new school year sets in. School books might have been joyously tossed aside when that last school bell rang, but that doesn't mean that books in general should take a backseat in the summer time. Most local libraries offer summer reading programs to help keep kids on track. Check out your local library's website or drop in as the summer begins to see if there are age appropriate reading programs to fit your student's interests and needs. Setting goals and healthy rewards for reading are both a great way of getting more books in their hands. For younger students, try picking a theme that might match their interests, a location, or a time period. Book series with multiple volumes are also a great way to keep a student actively engaged. Consult with a librarian for a series that your student would enjoy. For students that have been falling behind in reading, summer can be a great time to seek out a private tutor and get your student on the right track. 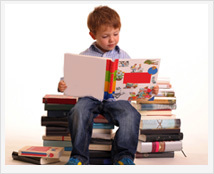 Our professional tutors at Chicago Academic can work with your child to improve their reading and reading comprehension skills with low stress in-home sessions. Whether they are calculating tip at a restaurant or helping measure ingredients for a recipe, there are a plethora of opportunities to allow your student to step in and take the math reigns. For students that require a bit more challenging fare of math lessons, there are several summer workbooks that can be purchased on Amazon or at your local bookstore. One page every other day can keep your student's math skills sharp. For more ideas of how to keep your student from losing ground this summer, feel free to call Chicago Academic at 773-466-0101.